Since I've already read and reviewed the 2 other books in the Planet of the Dogs series, it only seemed fit that I should review the very first book in the series - Planet of the Dogs by Robert McCarty. This is the story of how dogs came to live on Planet Earth. Of course, it's a fictional story geared towards a younger audience but adults can certainly enjoy this book too. In my opinion, the book seems like a good read for children ages 8-12. Lily is 9, so I will see if she'd like to take it to school to read now that I am finished with it. "Long ago when planet earth was a dark place full of danger and turmoil... Visitors came from another planet to help the humans learn about peace, love, loyalty, and courage. They were from the Planet of the Dogs." What better teachers in these subjects than dogs? The Queen of the Planet of the Dogs discovers that Planet Earth was in a bad place and so she sends down the very first dogs to the Planet Earth to help. The main characters in the story are two children - Daisy and Bean. They even get to travel to the Planet of the Dogs themselves. I personally think it would be awesome if such a world did exist. I'd love to visit some of the places in the book. There's Shepherd Hill, Poodletown, Retriever Meadows, Muttville, Hound Dog Hamlet, and Shaggy Corners. After reading through the book a little, Shiner informed me that she'd most like to visit Biscuit Town on the Planet of the Dogs. Simply put, there is a lot that us humans can learn from our furry canine companions. 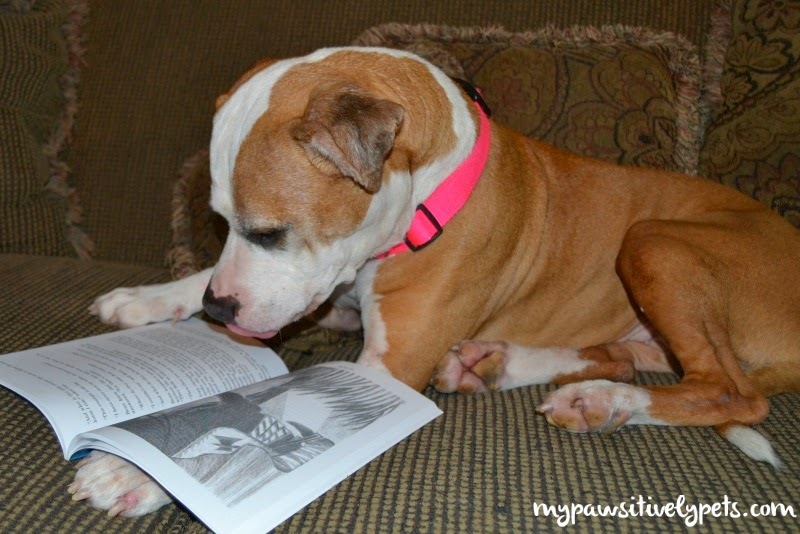 This book is great at showing just how compassionate dogs really are. Planet of the Dogs is available on Amazon as a paperback book or for your Kindle. The author of Planet of the Dogs, Robert McCarty, is allowing us to giveaway a copy of Planet of the Dogs to one of our readers. I am happy to announce that this giveaway is open WORLDWIDE. The giveaway ends on Friday May 2nd at midnight CST. To enter, simply fill out the Rafflecopter below with as many or as little options as you like. Good luck! 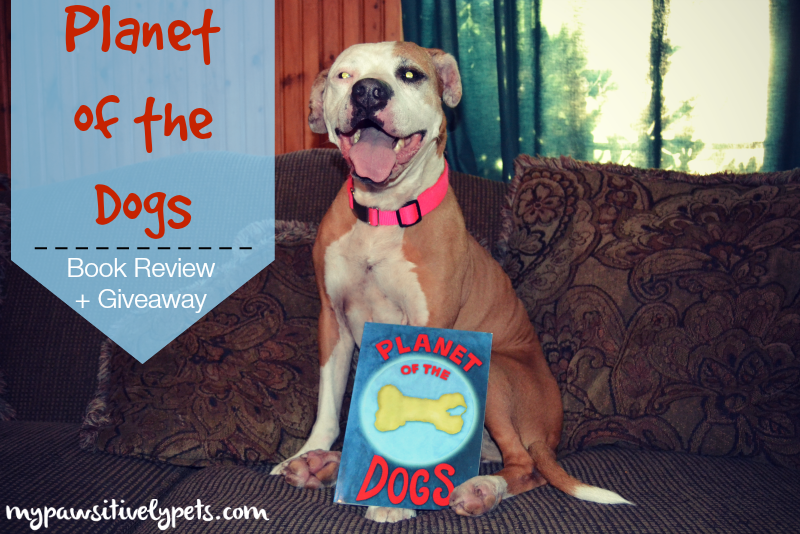 I received a copy of Planet of the Dogs at no charge in exchange for a fair and honest review of the book. I would like to win this for my classroom. Biscuit Town would be our choice too LOL. Sounds like a great read for little ones. Have a super Saturday. We love that title, it is super cool! Thanks! Shiner doesn't do well posing with books sometimes lol... so glad these turned out this good! Cute giveaway! My kids would love it! Sounds like a great book! Would love to read it to my littles! I would love to win this book so that I can share it with the children in the Tail Waggin' Tutors program with my therapy dog. I’d like to send all the woofies to their own planet. MOL! Thank you for the Get Well wishes. I’m hoping that this asthma is history for this year. I would love to win this book for my niece. I think she would love it! Because shiner looks so intrigued! I want to win this for my friends' kids. Too darn cute. This would be perfect for the dog loving kiddos! I have four dogs and my nephews love to play with them so this would be great for them.